Bogle is a fourth generation farm turned vineyard and winery producing excellent value wines with stalwart verve. Bogle resides in Clarksburg, a wine appellation located in California's Sacramento River Delta region where Bogle Vineyards is located. Clarksburg is an isolated wine corner that rarely shows up on any California Wine Country tour map. No matter, the Bogle family isn't discouraged. This is a true mom-and-pop, family-owned winery that works to expand with restraint. This is a 1,200 acre farm that the fourth generation Bogle, Warren, began turning to vines with his son, Chris in 1968. The winery came along ten years later and Bogle Winery has continued to grow since then. Patty Bogle, wife the late Chris Bogle, took the helm of the family wine operations and runs the business along with their daughter Jody and son Warren. Over the years, the Bogles have held fast to their mission to produce delicious high quality wines with distinction and character at a value price. The fact that Clarksburg is not a premium vineyard region and has lower acreage and production costs relative to Napa or Sonoma makes it easier to price their wine accordingly. The winery's label always shows a graphic image of a pheasant, which represents the local wildlife inhabitants of their homeland region in the delta. Clarksburg is a little-known wine corner rather than a region. It's only a sliver of farmland about sixteen by eight miles long bordering Solano, Yolo, and Sacramento counties. It gets hot, really hot during the day but cooling breezes gets sucked in from the San Francisco Bay wafts up the Delta to offer humans and vines a welcome respite. It's a wine region gaining attention, with Bogle being one of the earlier winery pioneers here among the handful of other resident wineries. And while about twenty varietals are grown here, it's not Cabernet Sauvignon or Chardonnay that reign as the King and Queen of the realm but Chenin Blanc, Sauvignon Blanc, Petite Sirah, and Zinfandel holding court. 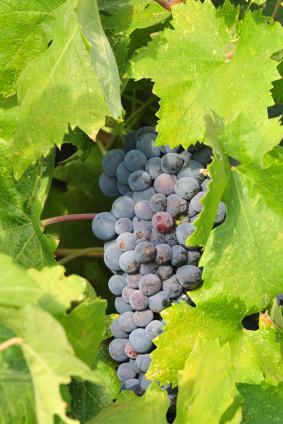 Non-resident wineries also make use of Clarksburg, purchasing the fruit of the local grower's production for their wines, either as an AVA designated wine or blended with other grapes. The following is a generalization about Bogle wines, but for the price of $10-$15; you can rarely find wines with as much character, flavor, and quality. They make the most from their own vines but also will bring in grapes for blending from the Sierra Foothills, Central Coast, Sonoma County, and from nearby Lodi. Their wine portfolio includes the standards-the Sauvignon Blancs, the Chardonnays, the Cabernet Sauvignons, the Pinot Noirs, and the Merlots. These are good choices, the wines typical of their varietal but not stellar unless the value price is factored in. Where Bogle gets interesting is their Old Vines Zinfandel, Petite Sirah, and a blended vine called, Phantom, wines with a more distinctive Bogle personality. Bogle produces this Old Vine Zinfandel from gnarly old 80-year vines brought in from Lodi and the Sierra Foothills. It's like a lot of big Zinfandels with concentrated and ripe fruit. Priced between $10-$12, it's a Zin that snarls at you with a smile. Smooth and easy-drinking Zinfandel. Big, fruity, spicy, and with leather tones and earthy must, the Phantom is a blend of Zinfandel, Petite Sirah, and Mourvèdre. No pretension to elegance, it's a dark, dark apparition that creeps in with the night, a brooding wine to drink on a stormy Halloween night. The current vintage is from 2003 and hopefully Bogle will continue with this full-bodied spook. Priced around $15. This is Bogle's flagship wine that helped build the winery's reputation. Labeled as California, the lush and jammy, inky wine is made from Clarksburg and Lodi vines. Usually shows big fruit, racy spices, and sturdy tannins and good structure. Bogle's Petite Sirah is consistently well-made from vintage to vintage. This is really one of California's great values at around $8 from many retailers. Goes well with hearty fare and make sure to brush your teeth afterwards.